“Mass For Shut-ins” – A concerned Peggy manipulates William into joining the church choir to keep him engaged in Catholicism after learning he’s questioning his beliefs. Meanwhile, Timmy learns that the choir will be appearing on television and once again sees his opportunity to make his way into the spotlight. Elsewhere, Eddie and Joey are determined to get a hold of Led Zeppelin tickets but keep missing their chance on “The Kids Are Alright,” TUESDAY, APRIL 16 (8:30-9:00 p.m. EDT), on The ABC Television Network, streaming and on demand. 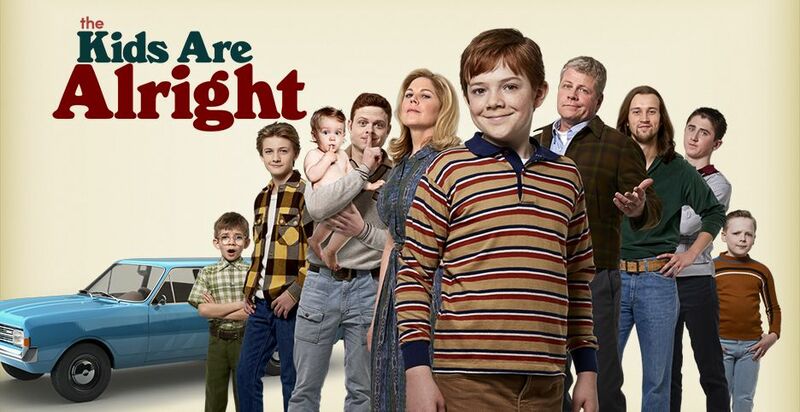 “The Kids Are Alright” stars Michael Cudlitz as Mike Cleary, Mary McCormack as Peggy Cleary, Sam Straley as Lawrence Cleary, Caleb Foote as Eddie Cleary, Sawyer Barth as Frank Cleary, Christopher Paul Richards as Joey Cleary, Jack Gore as Timmy Cleary, Andy Walken as William Cleary and Santino Barnard as Pat Cleary. “Mass For Shut-ins” was written by Ian Murphy and Riley Ettinger, and directed by Lea Thompson.